Yesterday I was playing around with the exposure on my SLR. I was using the 'daring' manual setting. I have always been comfortable with adjusting settings, but never 'fully' manual. I have to admit. So far, I'm a fan. Above, is a shot of a lamp in my office. The lamp light is on, yet the sun light is peeking through the window. I took this one in the shadows of our staircase, love the way the chandelier light bulb reflects the natural light. Even though it looks like evening, it was taken at high noon. Finally, I wandered through the house late at night, searching for a perfect glimpse of nightlight. Well, I did indeed find some nightlight. I settled with the steady glow and reflection of the nightlight in the kitchen. And with that, I said, good night. Playing with the settings on a SLR can be frustrating. I cannot tell you how many snapshots I deleted. This was a fun challenge and a new claimed goal of mine. I have been jotting down more ideas of things or places, I'd like to capture. AM, NOON and PM.... Yes! I believe I have discovered the perfect photography - comparison combo. 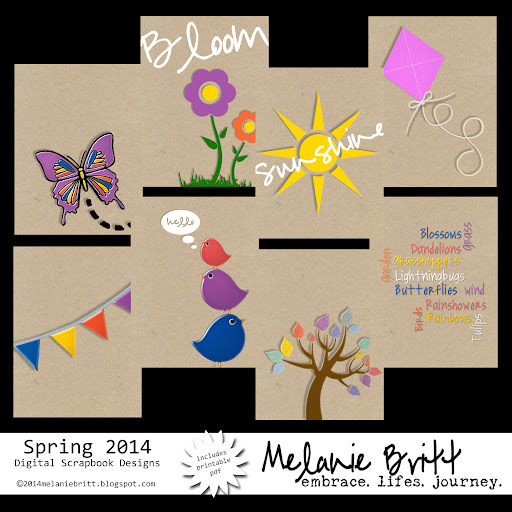 I'm welcoming Spring with a new freebie! Head on over to my facebook page for the download. My St. Pattys day freebie is still available as well. But, for a limited time. Get em' while you can. Sorry, download no longer available, and has been downloaded 174 times. My driving companion when I drop the kids off at various activities. And my shadow around the house. Enjoying a little crafty time. I'm slowly adapting to daylight savings time, where I'm able to capture sunrises and sunsets. Then, there is the well needed rain. Oh, and I have an announcement to make and what better day to do it than TGIF! I am on the launch team for Beth Moore's new bible study! WOOT! Children of the Day. Coming in May. Follow me on twitter @melanie_britt and instagram @melaniebritt for special sneak peeks. You can also keep your eye on the hashtag, #childrenoftheday. You can view my entire Digital Project Life 2013 Album. HERE. 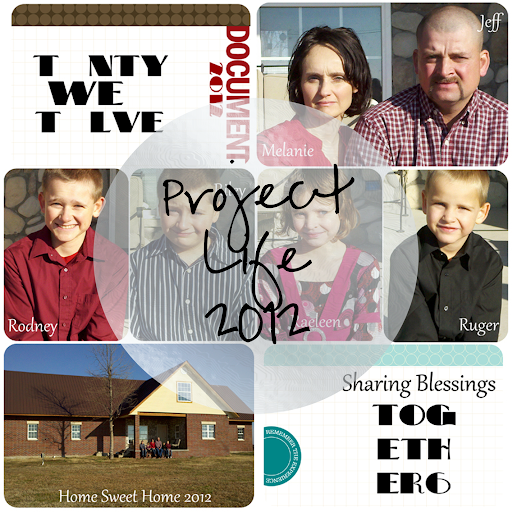 You can view my entire Digital Project Life 2012 Album. HERE. It's no secret. The local library ain't all it used to be. We have slowly become regulars at ours. It took some getting used to, but overall we are fans! The older boys take their laptops and download resources in e-book form. Lately, the history and science DVDs have been a fave. The little's stand and read three or four easy readers before making their way to the chapter books. As they get older it really is a joy to watch their interest in reading blossom. They each choose two books to check out and make a point to read one a week. I have even found a few readers on our Sonlight curriculum list. So far this system is working. Do you still visit your local library? This is my absolute most favorite photo. 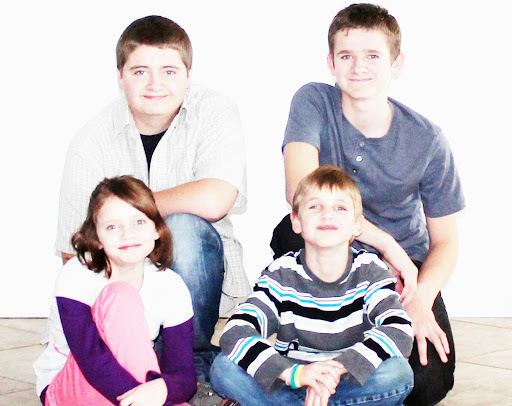 The very first photo of all four kiddos together. Taken with one of my very first digital cameras. Needless to say, the quality is horrid. I wanted to enlarge it but when I scanned and uploaded it to a print service, I got the dreaded image quality warning. Best that could be done was an 8x10 and that just wasn't what I wanted. This is such a treasure to me, I had to have something bigger. I figured if 8x10 was the best that could be done. I would have to make that work. In photoshop, I divided the image into fourths. Moving each piece into its own image. I then sized them each to 10 inches wide and allowed the height to auto set. I now had four separate images. I printed them myself after saving at 300 dpi. I simply trimmed the 'inside' margins, taped the backs together and placed them behind a matte in a 22x26 frame. And now.. Every time I step into my office.. My heart overflows. And a little 'sigh' of "Gosh, How did I survive that?!" "Four kiddos in six years?!" But, I did and I wouldn't change a thing. Just for fun. Here they are now. 15, 14, 11 and 9. They are posing in the same order. I had no idea. I didn't do that on purpose. Happy 1st TGIF in March! Here in Oklahoma we have enjoyed our share of snow. It's time to breathe in, fresh, Spring air. Don't forget to Spring ahead tomorrow. 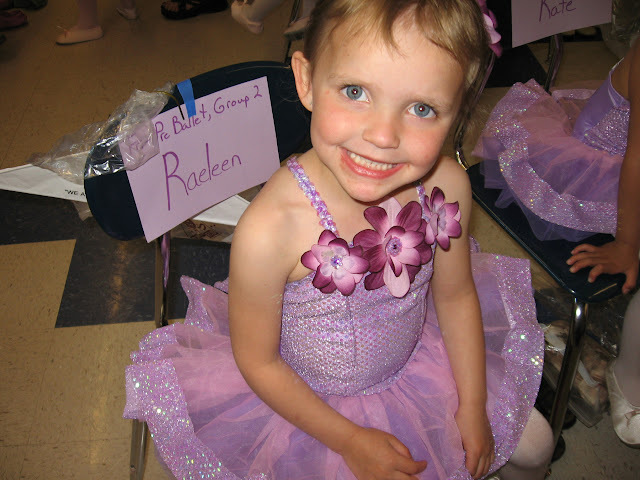 Last week I was able to sit in on Raeleen's dance classes. I remembered taking one similar of her. After searching cd after cd, I was able to find it. The way she looked at me then, the same sparkle in her eyes, the way she looks at me now. She takes three classes this year. 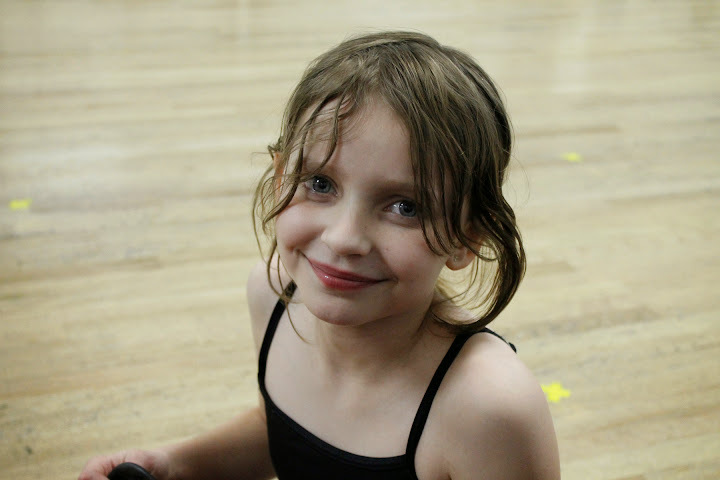 That means for recital this year she will be in four different dances. Such a joy to see all she is learning. So worth every trip to the studio. So worth every penny spent. I was able to get out yesterday with my big camera. Always a pleasure to capture snow scenes.